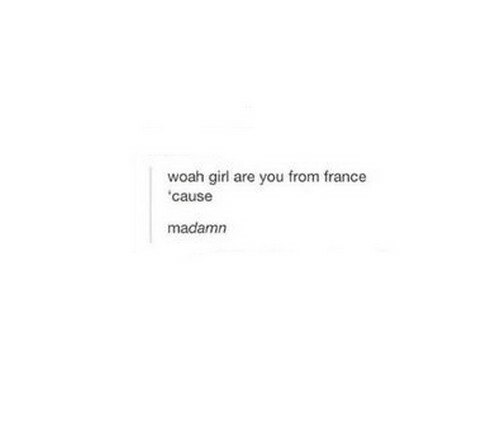 Do you want to impress a girl or boy who is from France but you do not know how to start a conversation and you are wondering if you could use a pick-up line to do that? Yes, they are familiar with pick-up lines too. So read on and find a line that suits your situation at this moment and use it immediately before the moment passes. Enjoy reading and choose your kind of pick-up line wisely! I know only a few French words. Want to know them? Jet ai me! Foreign people annoy me but not you, never you because I like you already upon seeing you. I found your accent endearing and I am wondering what you sound like in bed. Tonight? Girl, can you talk a little more? Because your voice is soothing to my ears. Darling, can you talk more? Because I find your accent endearing. Dear, I can never move past how beautiful your voice, your accent and your face are. Your French accent is like a sound made from heaven, my ears always craves for. I found everything about you beautiful but that is not because you are French but maybe yes. Have you seen Eiffel Tower already? Because I have and you are prettier than that. Baby, do you like French toast and fries? Kidding. I just want to see your smile. Having you in my life, girl made my life insane in a good way. I do not mind being a citizen of France just so I could spend a lifetime with you and beyond. Can you teach me your language? Because maybe if you’re the one who’ll teach me I’d learn. Girl, our story would be a French girl met this handsome guy at the park and clicked. How do you French people hug? Can you demonstrate for me right here, right now? Boy, do you need to practice your English? Because I am willing to volunteer to be with you. I am fluent in your language. Want to try my skills then have a dinner with me tonight. Are all French girls this hard to crack? But I will be patient darling because you are worth it. The day you came into this school I am so eager to attend this class even though it is boring. Dear, sure, I can handle a few bumps such as difference in language just to be with you. Your language is a beautiful language and you are a beautiful girl too. You and I, girl we will be making a good music together out of our story. You look a lot like you came out directly from a French movie and that is amazing. I am not only interested in your body but you think as well. I want to genuinely know you, how a brain of a modern French woman works. Want to dance with me? I am genuinely curious as to how that body of yours work. This is my weakest subject. Want to help me with that? I’ll buy you a dinner in return. I will not treat you differently just because you are not from here. Want to go out tonight? The day I met you, my head started conjuring our own story until our happily-ever-after. 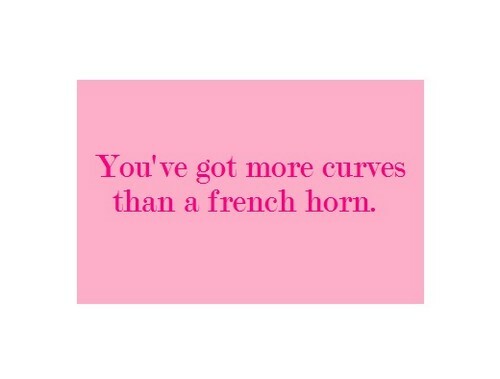 You make this school year less boring not because you are French but because you are lovely. 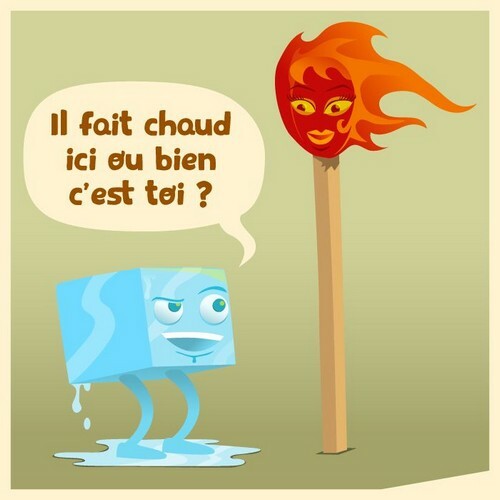 Do you know how to say in French the words, Yes, I’ll go out with you.? See you then, tonight. I do not think I need to travel to France and look at people because having you here is enough. It is so easy to drown in your French beautiful eyes. If I would die by drowning, I’d like to drown in your beautiful eyes. I think French people are big into passion and love. Want to prove that to me tonight? I think you people are passionate. Want to see who’s more passionate between the two of us? 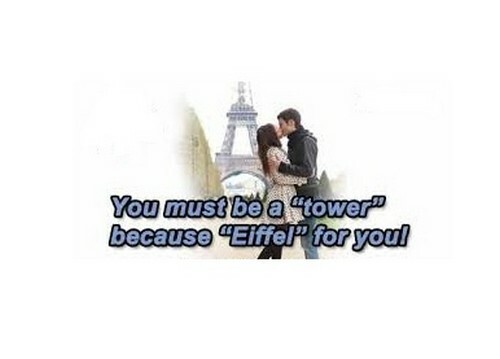 I don’t think I need to travel to look at the Eiffel Tower because I bet you’re lovelier than that. Is your hobby French kissing? Because I’d like to try that with you. Are you good at kissing? Is that why it’s called French kissing? Do you want to know the difference between the bodies of different nationalities? Me too! I think I need a map because it is so easy to get lost in your beautiful French eyes. Dear, I know an authentic place where they serve French food. Want to go with me? Do you like French fries? Because you are French? Just kidding. Do you wanrt a taste of lips that os not French? Here I volunteer my lips. I know you’ve seen beautiful places but have you seen your face? I know you’ve been to places but i want to show you our kind of beauty. You free tomorrow? This place is less lonely because you are with me. No place would ever be lonely whenever I am with you. In a foreign land like this, you have to choose wisely the people you trust. So choose me. I want to visit your country soon but that depends if you’re going to be the one touring me. Are all French ladies smell like this? Because I like it, it’s intoxicating yet sweet. What are you eating? I bet that’s delicious just like you. I wanted to try authentic French food. I bet you know how to cook. Want me to cook you the best food we have here? Tonight, at my house dear? What kind of drinks do you have in France? Because I’d like to buy you those. In this place full of girls who imitate each other, you are unique in a good way. Want to know how we do dates here? Go out with me then. 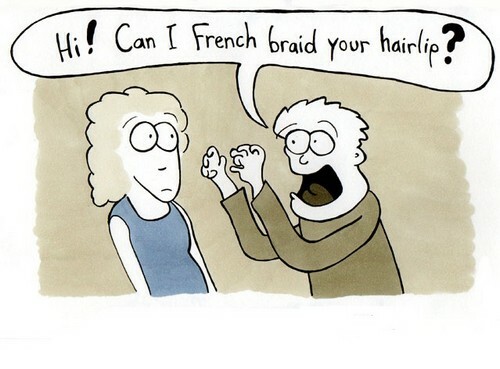 How do you French people date? Want to stop my curiosity about that? I dare you. I dare you to go out with me and see this lovely country of ours. I noticed that we come here often in this French place. Want to get to know each other? I will give you my number so that if you get lost I can find my way towards you. I heard it is your last night here. Do you want to make the most of that with me? Do you want to have some fun girl? I promise I’m a fun person to be with. Can you help me find a fitting word because I want to describe you with a beautiful word. Feeling lonely? I bet I know how I can make you feel better. 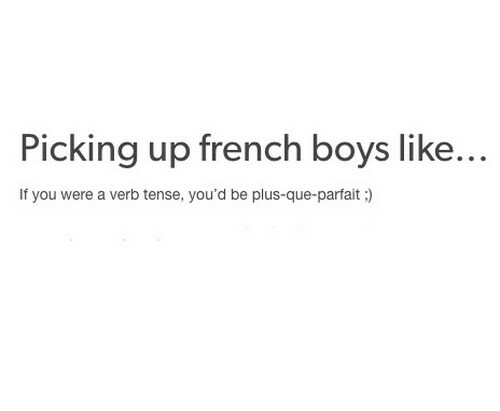 How do you say I am falling for you in French. 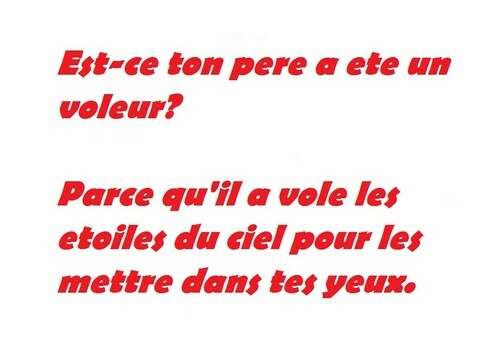 in French? Because I am. Boy, you don’t have to get me drunk just to get my number because I’d give you that and more. Two people with different nationalities can be soul mates too, right? How many hours did you travel because it feels like it took you a lifetime to get here. I’d go across the world with you without you even asking because I love you. We do not have much time so say you like me too then let’s get marry! I promise this is not just some kind of fling. I will prove to you that I am serious. Do you want to see what our houses look like? Come with me tonight? I know we barely know each other but I feel like I already know you longer than this time. Your French clothes are great but would look even greater on my bedroom floor. I don’t have a problem with whatever clothes you wear I just prefer you with nothing on you. I hate the thought of losing you already even though we just met. Weird huh? Want to see if my bed is the same as you have in your country? Without you even asking, I would give up everything for you and go with you. I will make all sort of French things with you like breakfast, coffee, etc. I promise I will not get tired of all the French things you do because I love them. I can make one hell of a French braid. Want to prove myself to you? I will make use of all the time you have left to prove my love for you. They say, out of sight, out of mind but you did not leave my mind since you left. Leaving so early? Wait a moment because I would like you give you a good time. Damn, you are looking so hot Madamme! Fact: If we make love and produce a child I bet he/she will be gorgeous. Don’t you want that? Do you mind if I check your bag? Because I lost my heart when you walked by. Did you gain some weight? Because I just saw my heart jumped on you. You have got my heart wherever you choose to travel dear. Do you want to check my body for proof that I fell for you? Because that is easy. I hate airports. Would you come with me and solve that problem? Being anywhere near you make everything bearable if not beautiful. Take risk or regret for a lifetime that you did not kiss me tonight. My heart literally took off towards you upon seeing you looking like that. Do you want to take off with me? The destination is my bed, baby. Do you want to know what heaven looks like in this country. Because I’d love to show you. You and I both love anything related to France. Want to talk about that over coffee? Where do I get a passport to get to that precious heart of yours? Darling, I will pay a huge amount just to get to have a space in your heart. You are not allowed to bring a bomb here! Ohh because you are looking like the bomb. Did you swallow the Eiffel tower? Because you are that lovely. Wait a minute I think you brought with you my heart. Because of you I like everything related to France.